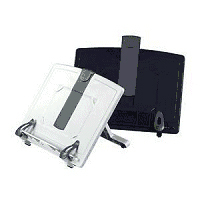 Easel height is adjustable to 8 different positions. 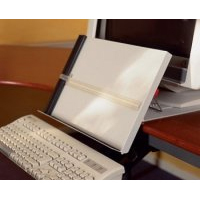 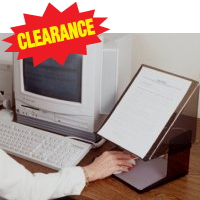 An innovative 'inline' document holder which attaches to a base under the keyboard instead of under the monitor. 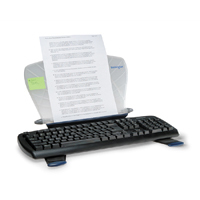 This unit also folds over keyboard for an extended writing surface. 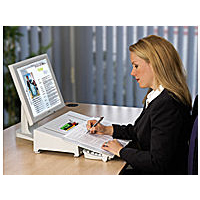 Use your SmartFit comfort color to set the correct viewing angle. 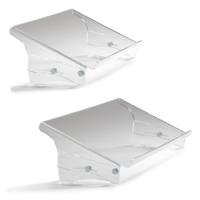 Accommodates two 8.5" x 11" sheets side by side or books up to 1" thick. 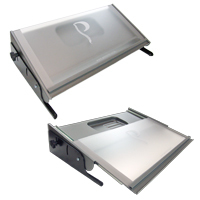 Choose from four configurations to fit different workspaces. 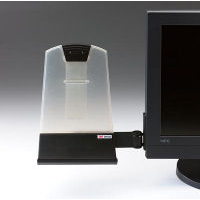 Use on desktop or with an underdesk keyboard tray on an articulating arm. 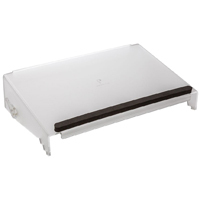 Metal base, rubberized edges and dual hinge adjustment for stability and easy adjustment.